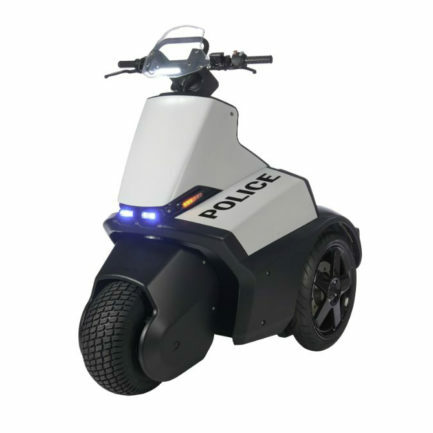 The SE-3 Patroller is the ultimate community policing three-wheel electric vehicle. It is powered by multiple rechargeable Lithium Ion batteries that can be charged at any standard electrical outlet or swapped out for replacement batteries to allow for continuous use. This new three-wheel product features independent direct rear wheel drive, can travel in reverse and turn in a very tight radius. It also includes rugged emergency lights, headlight, brake light, siren and lockable storage. The SE-3 Patroller has hydraulic disc brakes on all three wheels and is OSHA approved. It will fit through ADA compliant doorways. 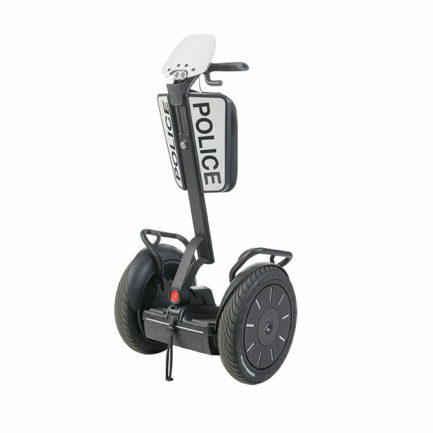 The Segway® i2 SE Patroller enables officers to see above the traffic and parking and be seen by everyone. For community policing, it demonstrates a presence while being approachable by the public. The i2 SE Patroller provides the officer a rapid response vehicle which will go virtually everywhere inside and outside. 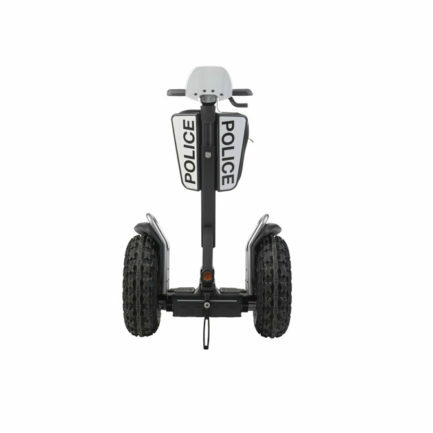 The Segway® x2 SE Patroller is the offroad model which enables officers to travel over more rugged terrain while maintaining the approachable, responsive capabilities for which Segway products are known.